1. This site does not contain any case reports. If you are looking for a case report, go to Legal Research and use the appropriate links listed under "Case Reports". 2. This site does not contain any legislation. If you are looking for legislation, go to Legal Research and use the appropriate links listed under "Legislation". b. On the other hand, if the search term is too obscure, your search may return no results. Thus, in researching a land-law problem, the term "feoffment" may be strictly accurate, but is unlikely to produce all relevant results. 4. Avoid using search terms which include common words - such as "a", "the", "of", "for", etc. 5. For best results, try using a search terms comprising two or three words as a phrase. 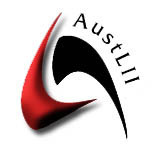 Depending on the configuration of the search engine, you can achieve this either by enclosing the words in inverted commas (Google, for instance, recognises this protocol), or by selecting the option "find this phrase" (AustLII's search engine, for instance, offers this facility). Searching for the phrase like "unjust enrichment" is likely to produce more relevant results than searching for a document which contains both the word "unjust" and the word "enrichment". 6. When searching a website like this one, which is devoted primarily to legal links, it is pointless searching for a word like "law" or "legal", because these words appear on almost every page within the website.